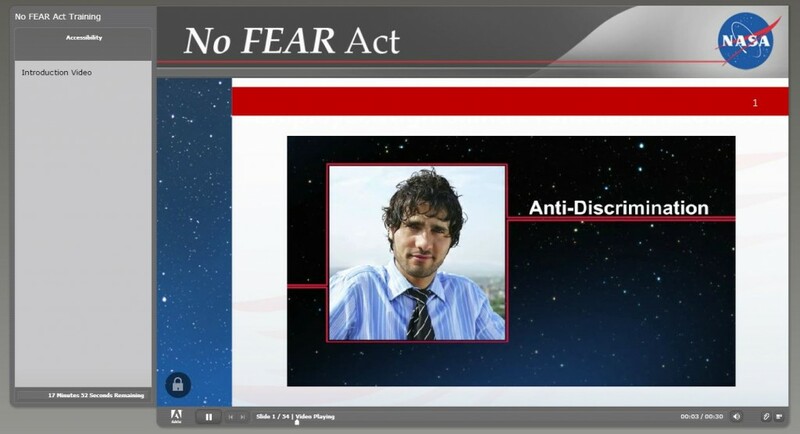 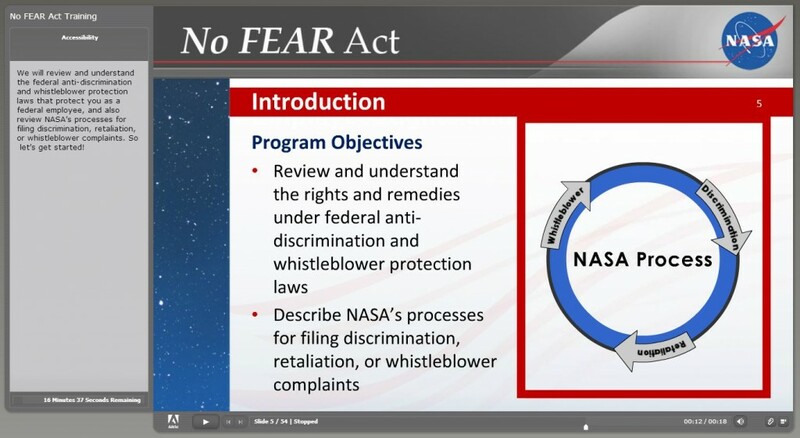 NASA - No FEAR Act - MetaMedia Training International, Inc. 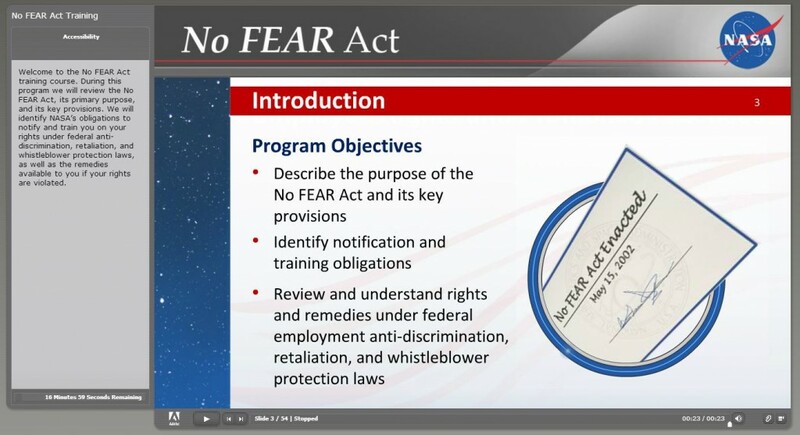 Description: Since 2008, working as a subcontractor for Curtis Lewis and Associates, MetaMedia has developed NASA’s eLearning-based Notification and Federal Employee Antidiscrimination and Retaliation training (No FEAR Act of 2002). 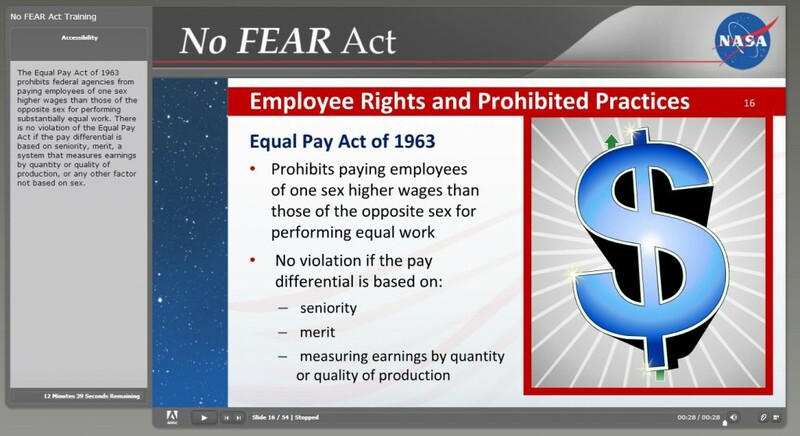 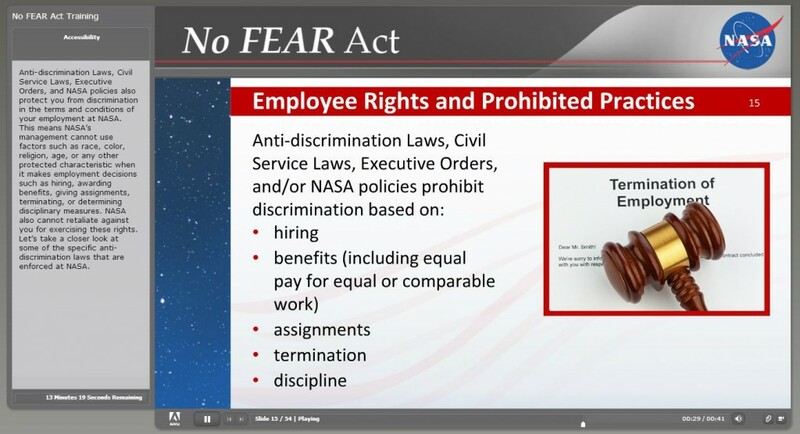 It requires Federal agency employers to provide a work environment free of discrimination and retaliation. 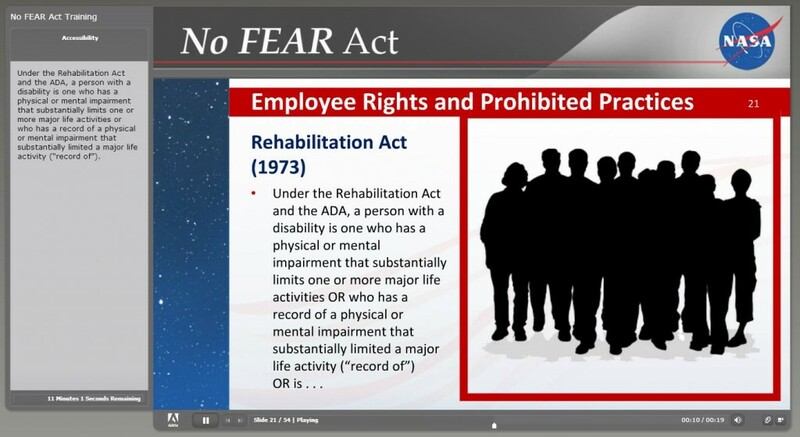 The eLearning is mandatory training that reaches over 20,000 NASA employees and is delivered through NASA’s SATERN Learning Management System.